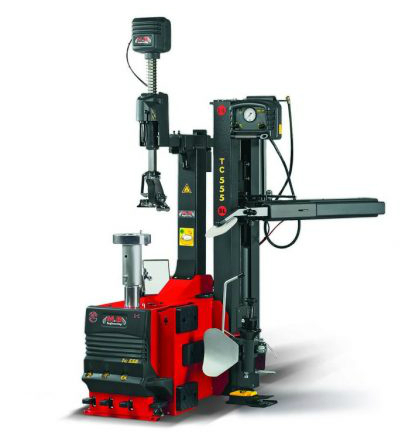 The TC 555 SL is an automatic tyre changer using (Lever Less) technology, with centre post turntable and a “combi” bead breaking system: with disc and with blade. The TC 555 SL is designed to work on all latest generation UHP and Run Flat tyres, that is very hard and chalenging, and also on conventional wheels up to a maximum rim diameter of 30″. 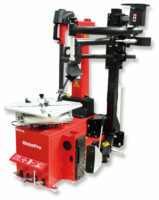 Double variable speed system (10-17 rpm). The number of tumb of the turntable under stress adjusts to keep the torque constant, and has great benefits, in particular on working time optimization and energy saving compared to conventional motors.